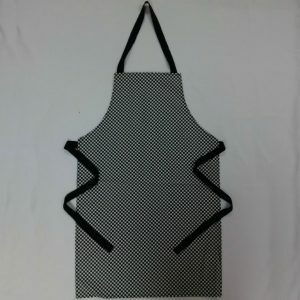 These aprons are made from an excellent quality 100% Cotton Drill 1cm black & white chefs check print. They have a fixed neck loop and waist ties. 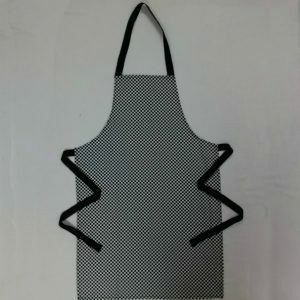 These aprons are made from an excellent quality 100% Cotton Drill 1cm black & white chefs check print and are coated in a fire retardant PVC. They have a fixed neck loop and waist ties. 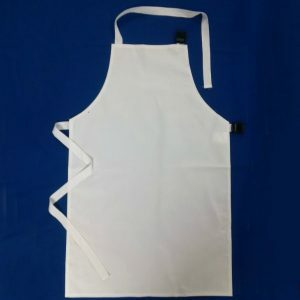 These aprons are made from an excellent quality white 100% cotton drill and are coated in a fire retardant PVC. They have a fixed neck loop and waist ties. 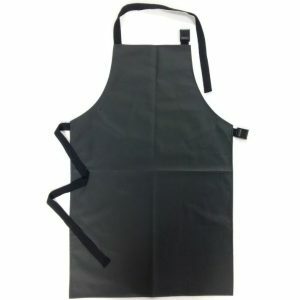 These aprons are made from an excellent quality black 100% cotton drill and are coated in a fire retardant PVC. 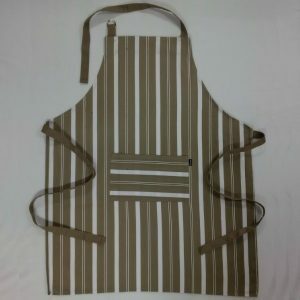 They have an adjustable neck loop and waist ties. 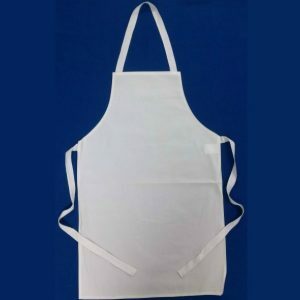 These aprons are made from an excellent quality white 100% cotton drill and are coated in a fire retardant PVC. 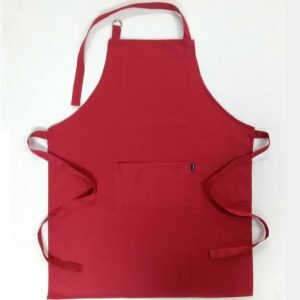 They have an adjustable neck loop and waist ties.